The Legend of Zelda: Breath of the Wind will let you check out difficult regions before collecting the requisite boomerangs and bombs. The Legend of Zelda has long followed a specific formula – start with no items, slowly build up your inventory, and use each new weapon to access new regions and dungeons. So when Nintendo promised to overhaul this formula, apparently that was the first thing to go. Players will have complete freedom to explore Hyrule’s varied ecosystems, even if that means visiting locations you probably aren’t ready for. If you’ve been following today’s Nintendo E3 feed, you’ve probably noticed how expansive this new game world is for yourself. 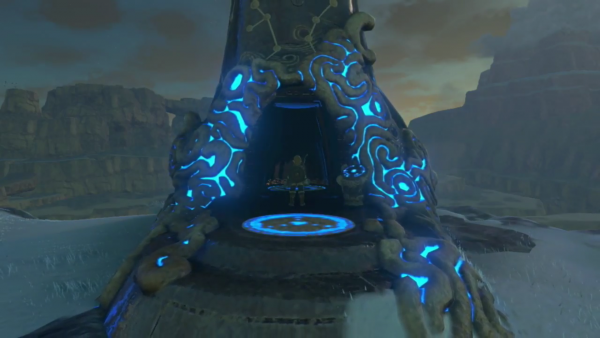 There are over 100 Shrines of Trials across the game, and players can visit them in any order they’d like. While the starting areas are certainly easier to get a handle on, nothing’s stopping Link from heading towards the most distant shrines with a starting weapon on his back. Certain items might help you reach new locations faster – such as a paraglider that lets you sail across the environment from high locations – but players can visit most of the locations which interest them at anytime. Even in advanced regions, players can use new survival mechanics to become familiar with gain the advantage in each environment. You can gather food to restore health, collect items that provide temporary boosts, steal weapons from fallen enemies. In fact, Breath of the Wild bears some resemblance to games like Far Cry, with monster colonies scattered around the world that you can recon and overcome in a variety of ways. The Legend of Zelda: Breath of the Wild launches for Wii U and Nintendo NX in 2017.